1 Bedroom Flat For Sale in Evesham for Offers Over £140,000. A one bedroom apartment set within a gated development. Within walking distance of the town centre. 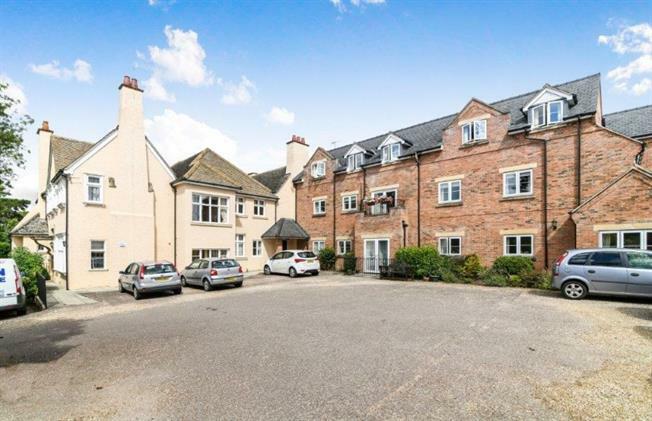 This one bedroom gated apartment comprises; communal reception hallway & access into the residents lounge &with stairs to the apartment, which has its own entrance hallway. The hallway leads to the double bedroom, the bathroom & lounge/diner with a separate kitchen. The kitchen has a range of integrated appliances & space for white goods. Externally, there are grounds for the residents to enjoy & parking. The property is a 15 minute walk into Evesham's Market Square. Evesham is an historic riverside town situated either side of the River Avon. The town centre has a range of shops & amenities to suit most tastes & requirements, with larger shops & supermarkets on the outskirts of town. Waitrose in the town centre is due for completion in 2018. There is a train station providing direct links to London Paddington. The M5 is close to hand, making the town suitable for any commuters & there is also a bus stop off Coopers Lane. With shower over the bath, pedestal wash hand basin, W.C & extractor. Towel rail.